The California Public Utilities Commission nixed a power purchase deal between PG&E and Finavera Renewables, putting the ocean power project in jeopardy. Pacific Gas and Electric Co.'s plan to buy power from what could have been the first ocean wave energy project in the United States was deep-sixed when the state's Public Utilities Commission said no to the power purchase agreement. PG&E made a splash last December when it said it had signed the first commercial wave energy contract in the country by agreeing to buy power from a 2-megawatt project being developed by Finavera Renewables (see Wave Energy Finds a Buyer). The project called for setting up the wave energy farm about 2.5 miles off Eureka in northern California. PG&E and Canada-based Finavera (TSX-V: FVR) had aimed to prove the feasibility of the emerging ocean wave energy through the deal, but the utilities commission didn't see it that way. The commission denied PG&E's request to approve the power-purchase agreement last week, saying the wave energy project is not viable. The technology is too new and unproven, and the power purchase prices agreed by PG&E are too high, the commission said (see commission's decision). 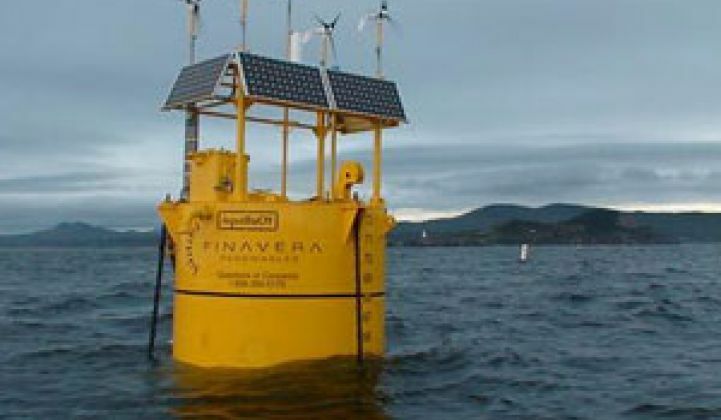 Finavera's technology uses a series of buoys with pumps to take in water and convert the vertical motion of the waves into pressurized seawater, which then drives a piston that runs the seawater through a turbine for power generation. A trial run of Finavera's technology off the Oregon coast last year had helped influence the commission's decision. The company had placed its prototype buoy in the water for about six weeks, and it sank just a day before the completion of the trial run. Finavera said the buoy, which cost about $2 million to build, sank because one of its components had failed. Both Finavera and PG&E declined to disclose the power purchase pricing. In an October letter of response to commission staff's objections of the deal, Finavera said the price is not "out of line" with government-subsidized waver energy rates in Europe, citing the price of 23 euro cent per kilowatt-hou in Ireland as an example. The commission's decision is a major setback for Finavera. The company needed a power purchase agreement to line up funding for the project. Finavera issued a press release Thursday to say it had begun looking for "alternatives for optimal funding for research and development of wave energy" that could come in the form of a consortium of investors and developers. 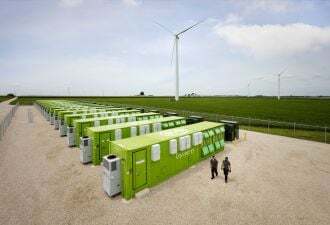 But Finavera also made it clear that it will concentrate its resources on wind energy development in Canada and Ireland, where it has projects under development. "The Finavera-PG&E deal was very speculative. Finavera is not a bad company; it's just not at a stage to deliver power commercially," said Daniel Englander, who co-authored a recent Greentech Media research report on ocean power (see Trawling for $500M in Ocean Power). Englander said PG&E was too eager to sign power deals to fulfill a state requirement and didn't do enough assessment to determine whether Finavera could fulfill the contract. The utilities commission also arrived at the same conclusion. It said PG&E had failed to provide enough information to prove that Finavera's technology will work as promised. It also pointed out that the utility intends to explore wave energy technology on its own through its WaveConnect program, and has applied for $6 million in funding from the commission to carry out WaveConnect. "The application confirms there is no industry consensus on the most optimal or most commercially viable wave energy technologies," according to a commission document. Only a handful of ocean power companies worldwide have reported revenues, and the industry faces tough challenges in engineering, installing and operating power-generation equipment at sea. PG&E is going full-steam ahead with its WaveConnect program, and has begun a study to see whether it's feasible to develop wave energy farms off the coast of Mendocino and Humboldt counties, said Jana Morris, a PG&E spokeswoman. After the study, PG&E will decide whether to apply permits for testing technologies in the water. The utility hasn't determined which technologies it would use, Morris said. "We think wave energy is a viable resource, but it hasn't been explored too much yet. We would like to explore that opportunity," Morris said.